How has your week gone? I have staged a personal protest against the cold by getting out to run four times last week. It is said, “if you can’t beat them, join them.” Although, as I asked last week, can spring be far away? Truthfully, I like winter and the change of indoor and outdoor activities it brings. However, Maine winter 2017 – 2018 has gifted us an unordinary, brutal cold one. It’s why we’ve begun to think 21F is warm. Winter’s cold brings to mind thoughts of hot cocoa and robust stews and cooking spicier foods. Chili is a favorite here. This week on Instagram, a favorite account I follow, the.hungry.historian (Ina Miranda) whose roots are in Puerto Rico posted a food photo with reference to sofrito. While a young girl, Ina moved to the United States with her family. As an adult, she has written a book Taste Memento: Short Stories of Food & Travel (Inaraquel Miranda Vargas). I’m sure if one of Maines’ marvelous, local bookstores don’t have it, they would be more than willing to order it. In the Farmington area, of course, I recommend Devaney, Doak & Garret, but if you live further south, Print: A Bookstore is a great experience. Most stores will ship should you not be able to get into the store. It’s worth the wait to read the stories woven through Ina’s book as she shares her culinary adventures. Sofrito? This inquiring mind wanted to know more. onions, parsley, onions, peppers, and of course garlic. With some research, I discovered sofrito is considered a dish seasoning and is often interchanged with the name recaito. The difference seems to be recaito is green and is the base seasoning of sofrito, but to which is added tomatoes. Ahhh! The plot thickens. Or rather, the pot! It seems I was in for a deeper adventure than I had anticipated! 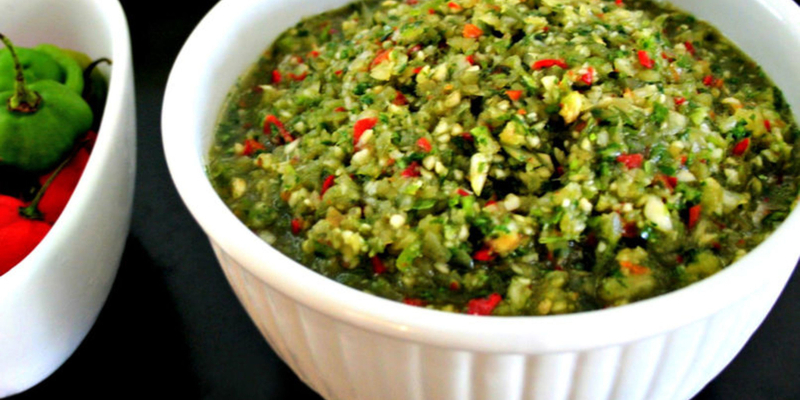 Sofrito is used primarily in stews, beans, and rice dishes, or any combination of these. 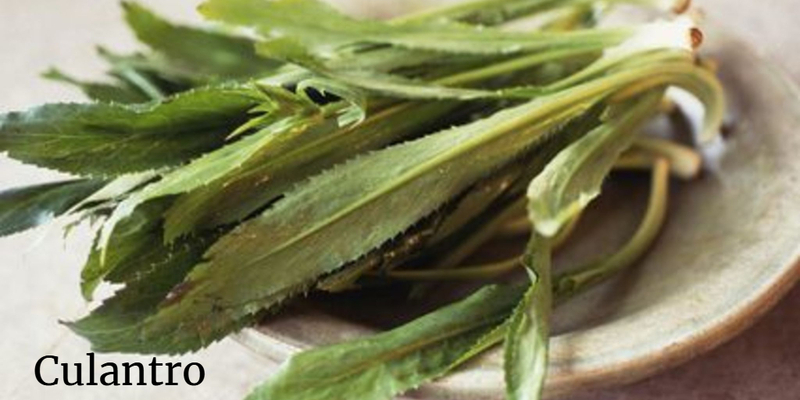 Although, not a traditional use, it can be added to chicken and beef dishes, as well. Besides in the Caribbean or Latin American cultures; it is found where one is more likely to use tomato paste, such as Italian, Spanish, or the Mediterranean. Besides the variation in color due to the addition of tomatoes to recaito, the spiciness can be varied with the use of the more pungent culantro vs. milder cilantro or by the amount of garlic used. The addition of ajies dulces (sweet chili peppers) rounds out all of the seasonings nicely. For a sweeter approach, I noticed Ina Miranda used red peppers. Basically, start with key ingredients and then adjust according to the dish in which you wish to use it. It came as no surprise to me that the origin of sofrito has its roots in medieval times. Those feisty guys sure had no manners, but they knew how to celebrate food in high style! The medieval book, Libre de Sent Sovi (1324) references “sofregit,” but I would wager that considering the ingredients, this seasoning dates back to even earlier times. If you remember from previous columns, I mentioned that basics such as this sauce were not generally written in cookbooks. Without a written description, every cook knew how to make it. Chop all ingredients. If you want a paste texture, process in a blender or food processor. Before using in a dish, sauté slowly over low heat. Traditionally annatto oil is used for the sauté, as it adds a “warm” flavor, as well as a bit of color, but bacon, bacon fat, pork rind, or lard can be used, lending it a comforting aroma and flavor. Either way, it can be stored in glass in the refrigerator for a week, or in the freezer for longer storage. Sofrito is versatile. Try adding it to any favorite dish such as chicken and rice, or Spanish rice and beans for an inspired taste of the Caribbean!